So far I have only made this challah a handful of times on my own. Each loaf takes me back to those nostalgic Friday nights at Jackie’s place. Each loaf has also taught me that I’m not the best braider (oh well). I must have had beginner’s luck because the first challah I braided has been my prettiest to date. My last few attempts have proved more challenging. 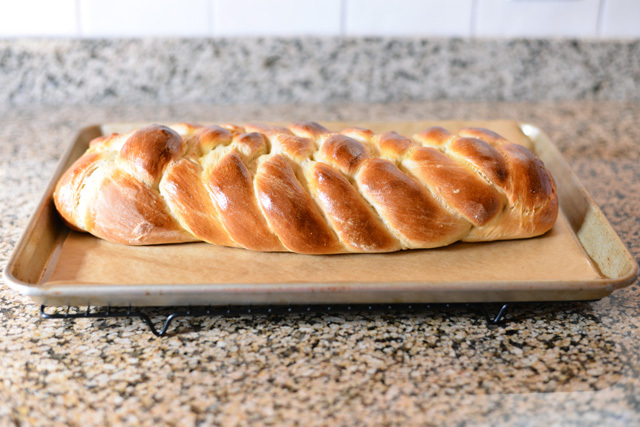 Perfectly braided or not, this is hands down my favorite bread recipe. Thank you Jackie, for all the great memories and for making the best challah on earth! I know it is traditional to have two loaves when you make challah and this recipe only yields one. Should you want to make two loaves, try doubling the recipe. I think it should double just fine as it reads closer to Jackie’s original recipe, although I can’t vouch for the same results. 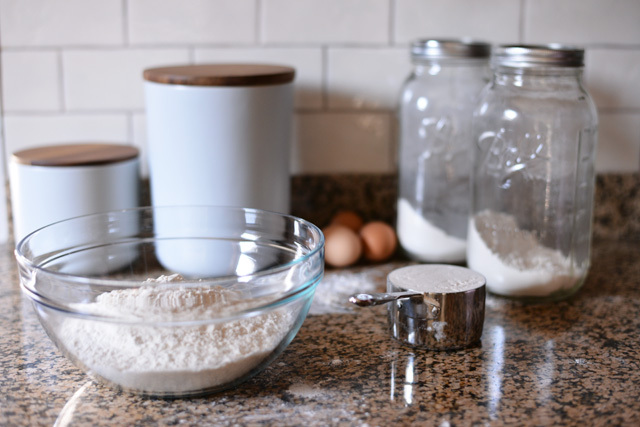 Make the dough: Add the sugar, light brown sugar, honey, salt, and oil to the sponge and mix with the mixer’s paddle attachment until combined. Mix in the eggs and then beat in 1 cup of flour until fully incorporated. 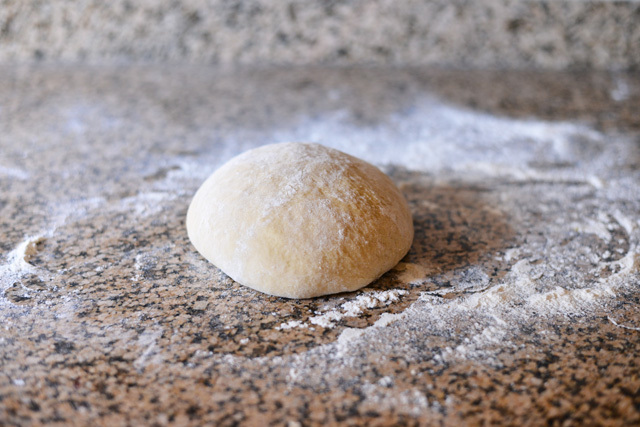 Continue to add flour, about 2 to 3 cups, until a very soft dough forms. Then remove the mixer’s paddle attachment and replace it with the dough hook attachment. Knead on low speed for about 10 minutes, adding additional flour or water as needed, until the dough is smooth and springy. Lightly oil a large bowl and place the ball of dough in the bowl, turning it so that it is also coated with oil. Cover with lightly oiled plastic wrap and let rise for 1 to 2 hours, until doubled in size. 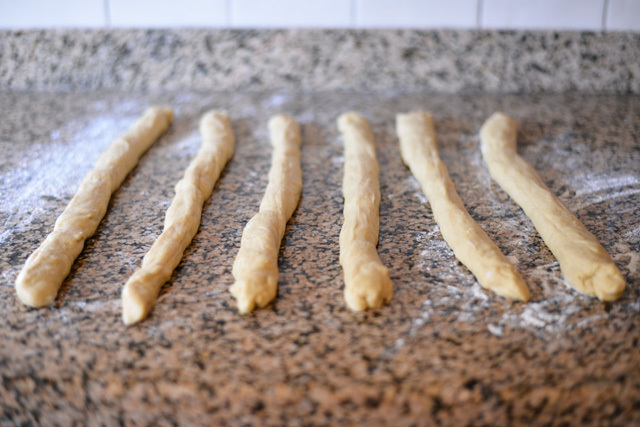 On a clean surface, divide the dough into 6 even pieces and roll each piece into a rope, squeezing out any excess air pockets. 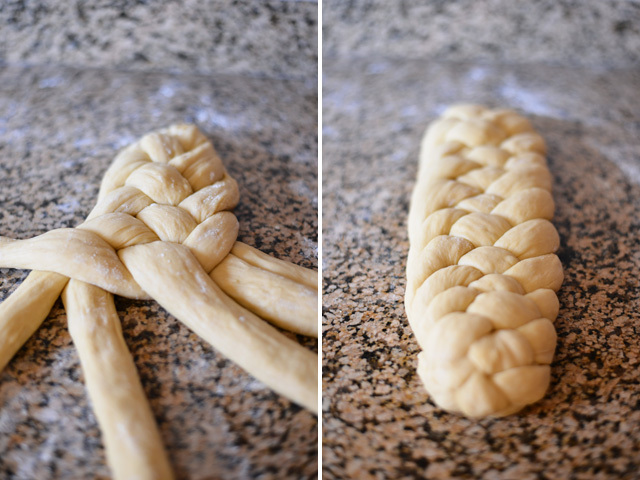 Squeeze ropes together at the top and begin braiding the challah. 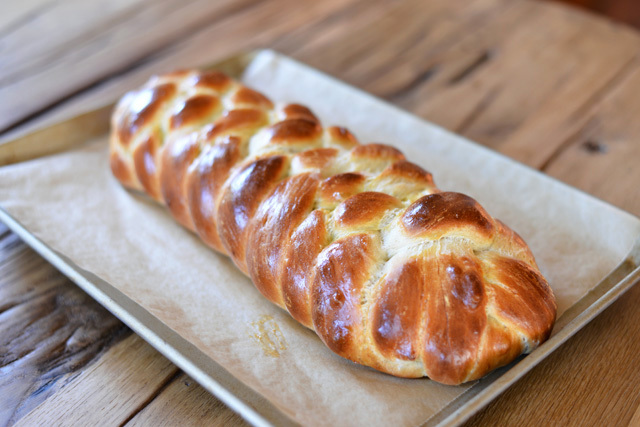 Starting with the furthest right rope, weave the rope over 2, under 1, and then over 2 and repeat until the whole loaf is braided (watch this video for a demonstration). 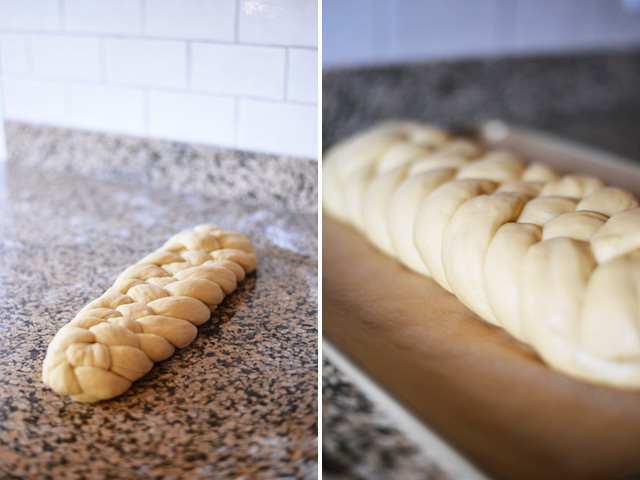 Once braided, squeeze the ends together and fold both ends under the loaf. 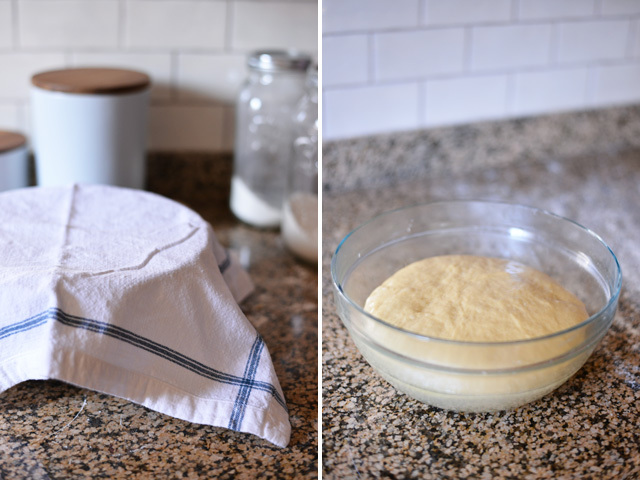 Reshape as necessary and transfer the loaf to a parchment paper lined baking sheet. Cover the loaf with plastic wrap and let rise for 30 minutes to 1 hour. Preheat the oven to 350 degrees. Beat the remaining egg and brush the loaf with egg wash with a pastry brush. Bake for about 30 minutes, until the loaf is baked through and golden brown. What a lovely loaf! Challah has always been my first choice when it comes to french toast. Yours looks perfect. So glad to see you’re back!!! That looks like pretty excellent braiding there in my opinion! We don’t really have a lot of challah bread here in Sydney. As a result, I don’t think I’ve tried it. Perhaps I’ll have to try making it myself! I just found your blog, and I really like your take on things. And the recipes are super. Could I subscribe to your blog with just my email address? Thanks.